OK...Thanks, will give it a go then ...do you know what the colours are like in this range? Hot !! Usually in rubbish colours! Ordered ivory...hope its not too dark! 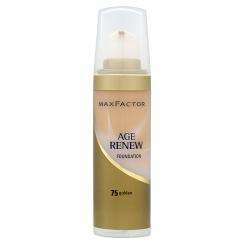 I work with Max Factor goods - the packs are all the same size so don't worry, you get the same you see in the shops. I work with Max Factor goods - the packs are all the same size so don't … I work with Max Factor goods - the packs are all the same size so don't worry, you get the same you see in the shops. If you buy through quidco then you will get a further 6.5% discount.